Workplace safety is a serious issue. Nothing brings that to the forefront quite like an emergency situation. If there’s an emergency seconds count. That’s why having professionally installed and inspected fire alarms and other safety devices is so critical, it can make the difference between everyone getting out safely or a tragedy. At AlarmLink USA we have factory trained and state-certified inspectors and installers who can design, install, and test your fire and workplace safety systems in compliance with all workplace safety regulations. 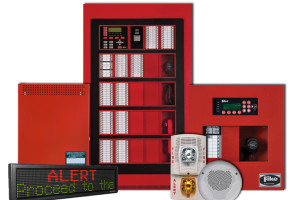 When it’s time to choose a company to install or service your vital workplace safety systems trust the company that been serving the Lincoln market for decades, give AlarmLink USA a call today.